First Friday shopping Sept 4! 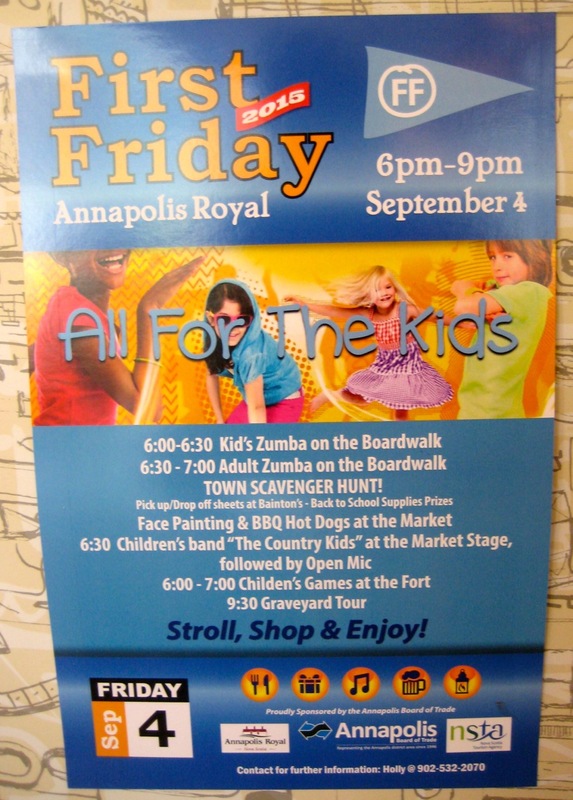 It will be all about kids this coming First Friday on September 4th in Annapolis Royal. There will be lots of activities at the market square and on the wharf with Zumba and music and even a Town Scavenger Hunt. See poster below for details! Here at MNH, we will have our regular musicians back to play for us starting around 7 pm. Come to Town, enjoy a great evening, sleep over and visit our wonderful Farmer’s Market on Saturday morning.